Cutting his musical teeth in legendary NYC clubs like The Bitter End and CBGB’s, Bill Maier’s talent as a songwriter and singer have earned him the respect of his musical peers, and rave reviews in local and national publications. After garnering a loyal following and releasing two critically acclaimed CD’s with his band in New York, Maier headed to Nashville at the urging of hit songwriter/teacher Hugh Prestwood after taking his course in Advanced Songwriting at The New School in Manhattan. Since moving to Music City, Maier has released three more CD’s of his own, and tours in support of them, as well as playing regularly at local Nashville clubs including the famed Bluebird Café. A few song contest wins helped kick open some doors with Music Row publishers. 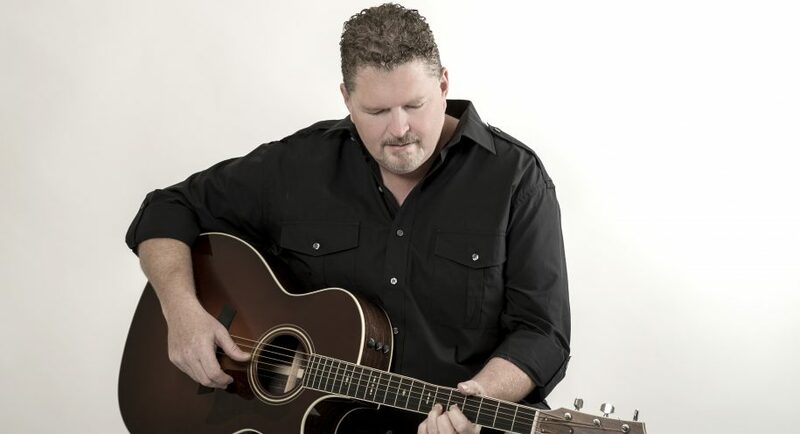 “Little Tin Can” and “When Autumn Leaves” made Maier a two-time finalist in the CMT/NSAI Songwriting Contest, and his song “Could Be” took 2nd place out of more than 20,000 entries in the Billboard Songwriting Contest. Maier has had songs recorded by an eclectic assortment of singers over the years, from country artists Billy Dean, Tara Thompson, and Kaitlyn Baker, to legendary doo- wop group Randy and The Rainbows, Detroit bluesman Randy Brock, indie alt-rocker Michelle Hemmer, and a host of up and coming indie artists as well. But no one quite captures the essence and emotion of Maier’s songs like he can himself. Whether he’s fronting the rocking rhythm section of his band Ten Gallon Fat, or dishing out his unique brand of “Acousticana” as a solo, Maier’s deep catalog of well crafted songs and dynamic vocals will tug your heartstrings for a song or two, and have you laughing on the next one. One thing for sure, that voice will surely make you feel something, and he’ll leave you with a smile. In 2015 Maier signed with Haus International, to compose and produce music for television. He has had over 200 songs featured on everything from “American Pickers” (History Channel), “The Filthy Rich Guide” (CNBC) to “Victorious” on (Nickelodeon). He’s had numerous movie credits as well, including full length feature, “The Good Dad” to award winning independent film, “Something Beautiful,” and several songs in rotation in Tommy Hilfiger stores nationwide. Maier’s latest CD release, “The Acoustic Sessions Volume 1 takes a “back to basics” approach. Recorded in his modest home studio, and in the home studio of his long-time co-producer/ multi-instrumentalist, Scott Neubert, each track started as a guitar/vocal and was built on from there when necessary. The arrangements were purposely kept sparse to allow the lyrics and vocals shine through taking Maier back to his folk/rock roots after several projects recorded as Nashville full band productions. Music News said, “The Acoustic Sessions Vol 1 is an album that celebrates the happy marriage of memorable melodies and well-crafted lyrics wrangled by tasty vocals that rope in the listener from the first note. These semi stripped-down productions, in the spirit of a Nashville songwriters night, present Maier at his story-telling best. Folk, Bluegrass, Country, and Soft Rock tracks with their catchy grooves and hooks will ride around in your head long after you stop listening.” We agree! !